UAB's research facilities rank among the nation's best funded and is noted for exceptional mentoring and training. Research at UAB spans the spectrum and mingles disciplines to investigate, reveal and apply knowledge that changes the lives of individuals and the fates of communities. 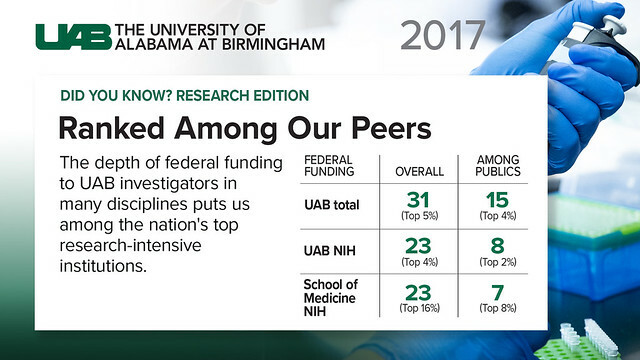 Learn more about UAB's research efforts and how you can get involved at uab.edu/research.